Jerry Garcia and Bob Weir of the Grateful Dead in 1972. The band stuck to ’60s ideals, embraced social networking, and thrived in a shared leadership structure. Corporations must be feeling punchy. It’s not enough that protesters from Occupy Boston-New York-Trenton-and-wherever are angrily snapping at their heels. We’re now told that even the Grateful Dead - rock music’s most famous lifestyle circus - ran their business far better than many corporate honchos run theirs. If you believe the premise of this new book, then the Dead may provide answers to push some of these companies in a more humane, progressive direction. Mention the Grateful Dead, of course, and many folks still think of prolonged, roller-coaster, drug-fueled jam concerts, freakouts in the parking lots, and nomadic Deadheads moving from show to show with no visible means of support. But business professor Barry Barnes offers another take. He suggests, at least partly tongue in cheek, that those misfits of yesteryear may be today’s role models, arguing that they were visionaries when it came to social networking and the kind of shared leadership that many corporations should consider today in lieu of the outdated “command-and-control’’ style that often alienates employees and consumers. Barnes, who worked at IBM and the John Deere Co. before becoming a professor at Nova Southeastern University in Florida, writes well even though he undoubtably jeopardized some brain cells in attending 194 Dead shows. He notes that the band practiced “corporate social responsibility’’ and “viral marketing’’ long before those terms were in vogue. They anticipated the Internet age by allowing free taping of their shows and the trading of tapes among Deadheads as long as there was no commercial use. They also believed in “insourcing’’ rather than outsourcing - the band launched its own record label, ticketing system, merchandising wing, and nonprofit organization called the Rex Foundation, which gave out $5,000 and $10,000 donations to scores of small nonprofits with no accountability required. All of this contributed to a vibrant, adaptable career that built trust with fans through what Barnes calls “strategic improvisation,’’ the ability to think and act on the run. Clearly there is merit to Barnes’s view once you erase the grin from your face. Regardless of lifestyle issues, the Dead represented the best of ’60s idealism. Over the course of the book it becomes apparent that Barnes is proposing that corporate values need not be thought of as apart from human values, that the behaviors and attitudes that bind us to one another can be the same ones that encourage loyalty between workers and companies and consumers and products. Early on, the Dead played at author Ken Kesey’s “Acid Tests,’’ where they insisted on paying an admission fee like everyone else and learned to always embrace their community rather than talk down to it. They later kept their ticket prices low and never took corporate sponsorships like the Rolling Stones did. They forged a further bond with fans by refusing to sell their mailing list to presidential hopefuls Walter Mondale and Gary Hart. 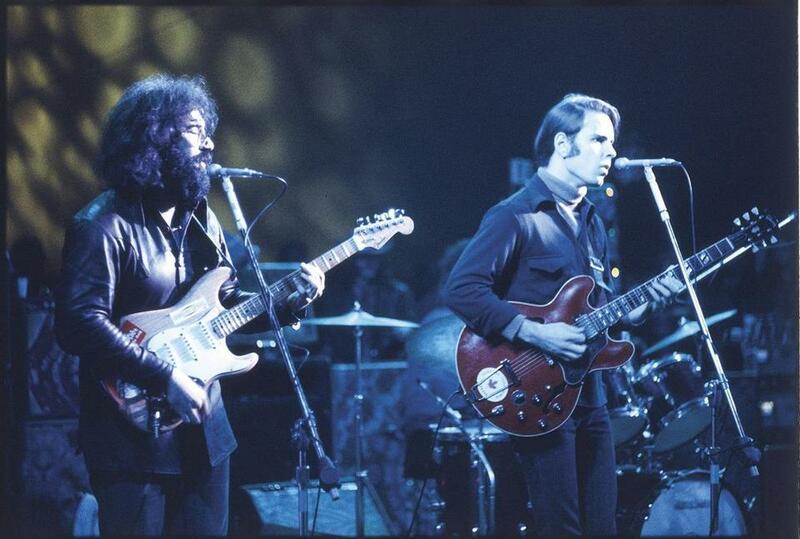 “Companies would do well to match the inextricable bond between the Dead and the Deadheads,’’ Barnes declares. Occasionally, Barnes is prone to hyperbole and repeats himself, but there is enough well-documented research to persuade fans and newbies alike. The Dead’s various businesses totaled 70 full-timers at their peak before Garcia died in 1995 (including crew members who were paid year-round rather than the industry norm of being paid only for tours), and they had above-average pensions, health insurance, and college funds for their kids. Everyone was treated equally - the band held monthly, all-employee meetings where just a single negative vote would scrap a measure. Rock impresario Bill Graham showed up at one meeting to propose something, but a building superintendent dismissed it as “commercial,’’ and that was that. How many businesses practice such democracy? Barnes applies the clincher when he notes that in 1994, the Dead’s top-grossing year, their staff had no turnover and almost no absenteeism. Yes, this is one circus that has lessons to impart. Steve Morse is a former music critic for the Globe and is writing an online course in rock history for Berklee College of Music.